Created in 1958 by Jaeger-LeCoultre in honour of the International Geophysical Year, the first Geophysic watch remains a symbol of Swiss expertise par excellence. In keeping with this tradition, the Manufacture in the Vallée de Joux launched the Geophysic collection in 2015; a collection of several models combining powerful watchmaking expertise with a classic, timeless aesthetic. This line has now been reinterpreted reinforcing its original qualities: a generously dimensioned case, easily legible functions, visible luminescent hands, the high- tech Gyrolab balance wheel, etc. 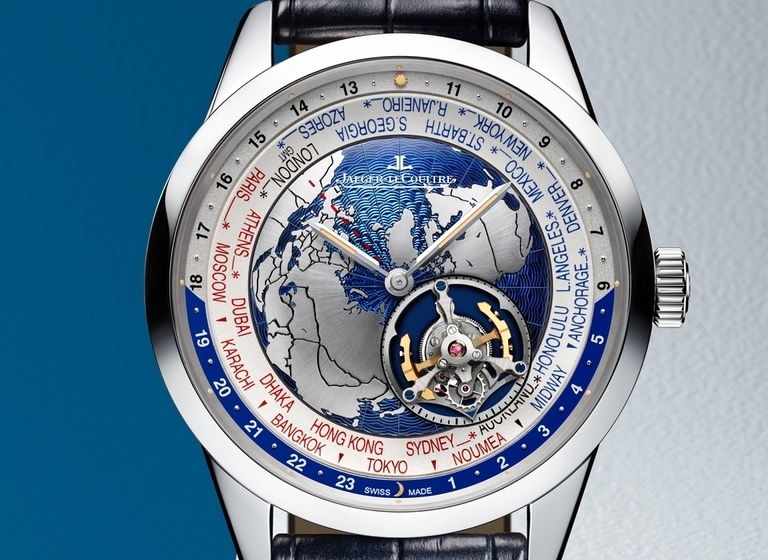 For the first time in its history, Jaeger-LeCoultre has introduced a flying tourbillon in a watch, allowing the time in twenty-four cities around the world to be read simultaneously. Available in a limited series of 100 pieces, the Geophysic Tourbillon Universal Time watch is a testament to the Manufacture’s remarkable watchmaking skills expressed through the watch’s ease-of-use and operating.